At Belton Veterinary Clinic, blood tests for cats are processed and analyzed on premises at our in-house laboratory. Having an on-site laboratory allows us to quickly and reliably determine and diagnose a health concern, and then implement a successful medical intervention based on the results. Once we establish a correlation, we can order any subsequent feline blood work procedures necessary to arresting and treating the condition. In this way, feline blood tests serve as very valuable tools in a veterinarian's toolkit for helping to detect, identify, diagnose and ultimately treat illness or disease. 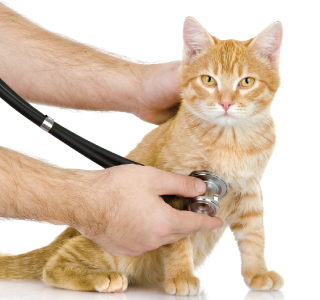 If your cat is exhibiting any abnormal behavior, please have them seen by one of our veterinarians today!